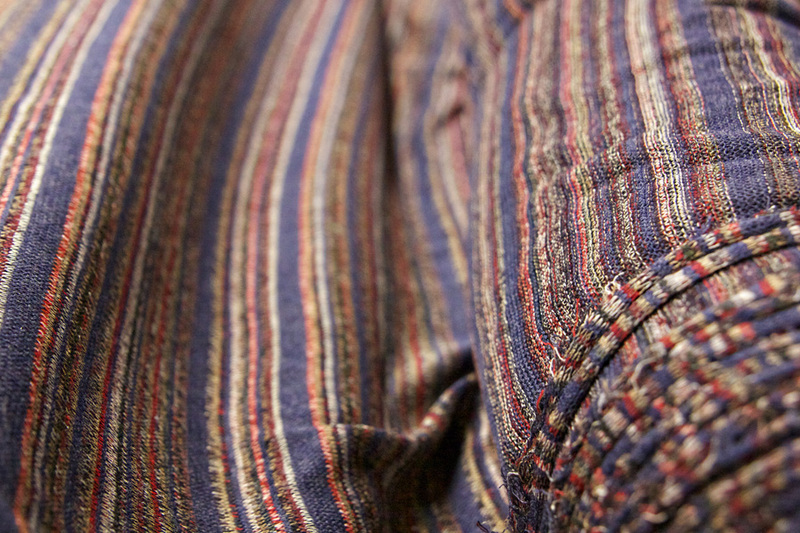 We specialize in novelty knits using specialty yarns including Lenzing's Modal and Tencel. 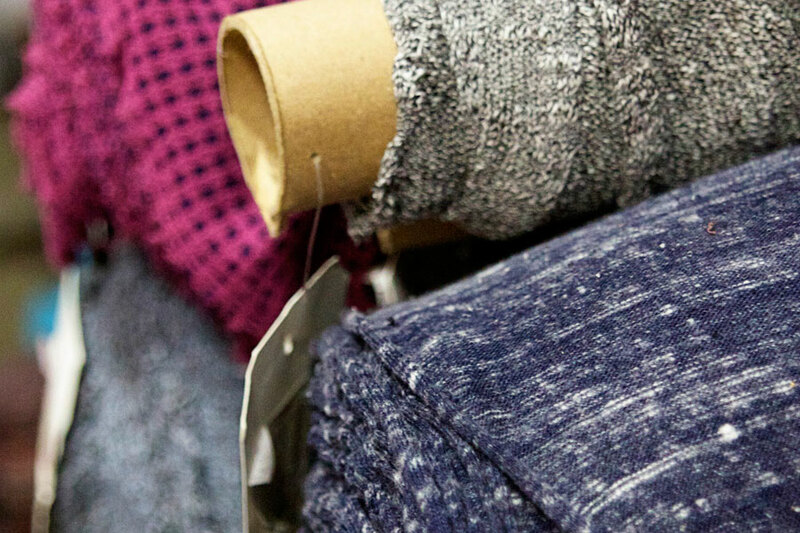 With several yarn suppliers and access to many different knitting machines, we are able to offer hundreds of styles with sample yardage immediately available to our clients. We carry french terry, jersey, sweater knits, ribs, double knits, sherpa and more, and our line is constantly updated with new styles to keep up with market trends and designers’ needs. 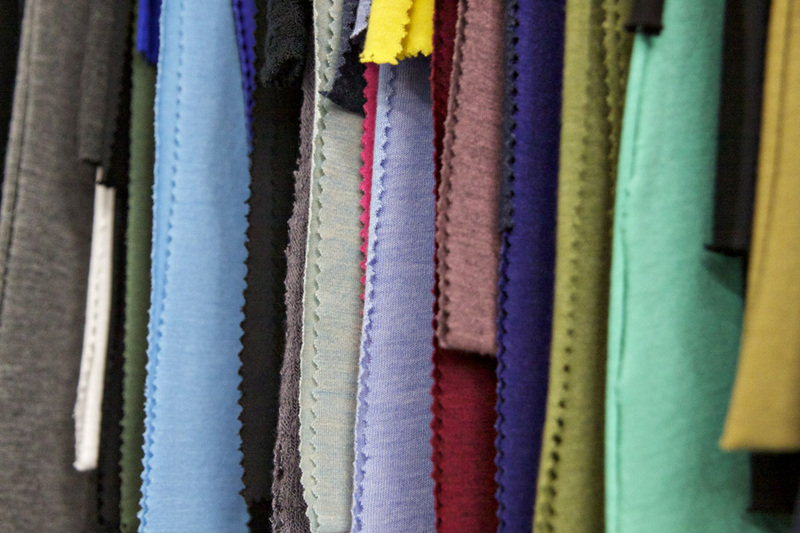 With fabrics suitable for the Contemporary, Active, Junior, Mens and Children’s markets, our wide range of customers are always able to find something in our line for their next development and never leave a fabric meeting empty handed. 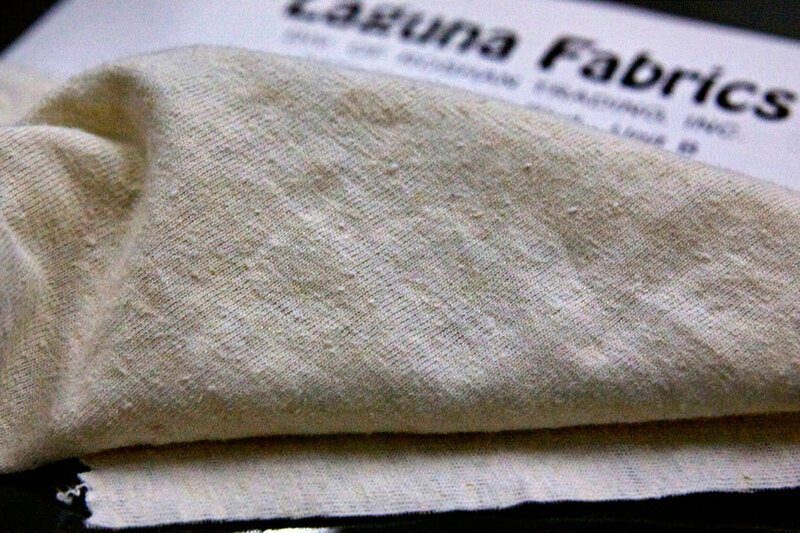 The fiber is made by Lenzing with reconstituted cellulose, spun from a beech wood tree. The solvent used during the production process is easily recycled without any contamination since the fiber is extracted from pure wood. 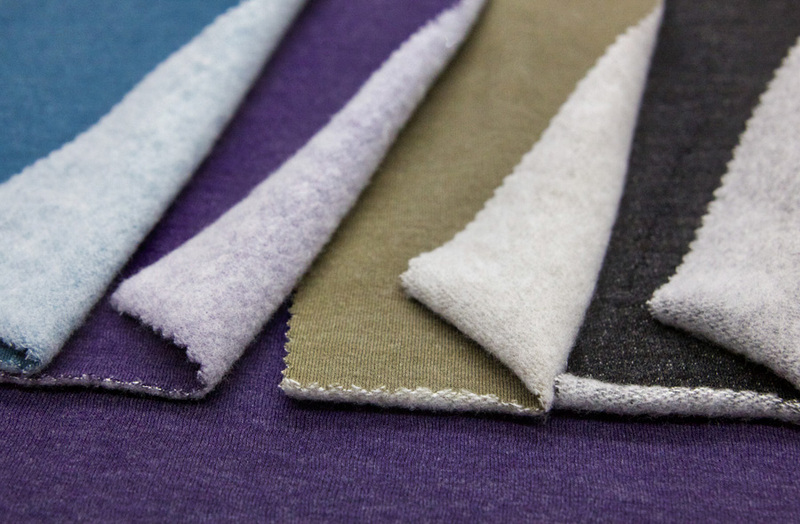 Fabrics using Modal yarns are soft, smooth, low in pilling, take color well, and are sustainable. Made by Lenzing with wood pulp from sustainable eucalyptus tree farms. This fiber is produced through an environmentally friendly “solvent-spinning” process, using a non-toxic solvent that is 99% recoverable and recyclable. 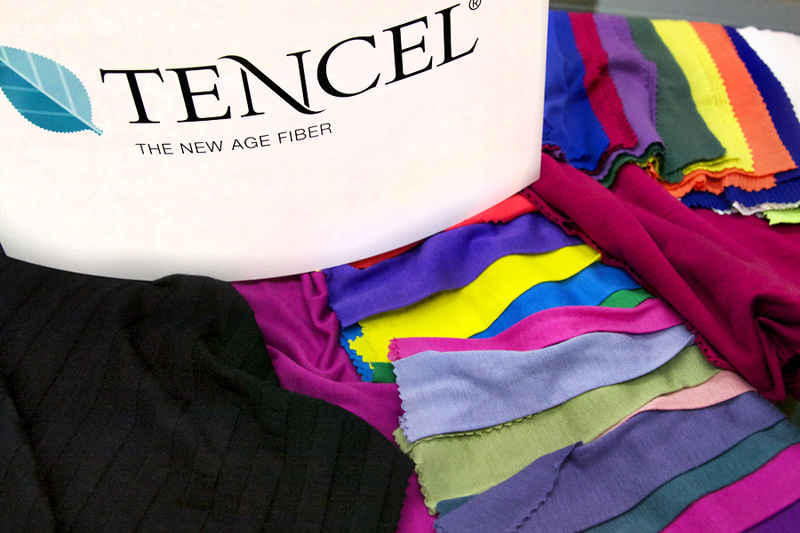 Tencel fabrics are fluid in drape, silky soft, rich in color, have excellent cooling and anti-bacterial properties, low in pilling, resist wrinkling, and Eco Friendly. An extremely fast growing crop, producing 250% more fiber than cotton and 600% more fiber than Flax using the same land. Hemp also leaves the soil in excellent condition for any succeeding crop. 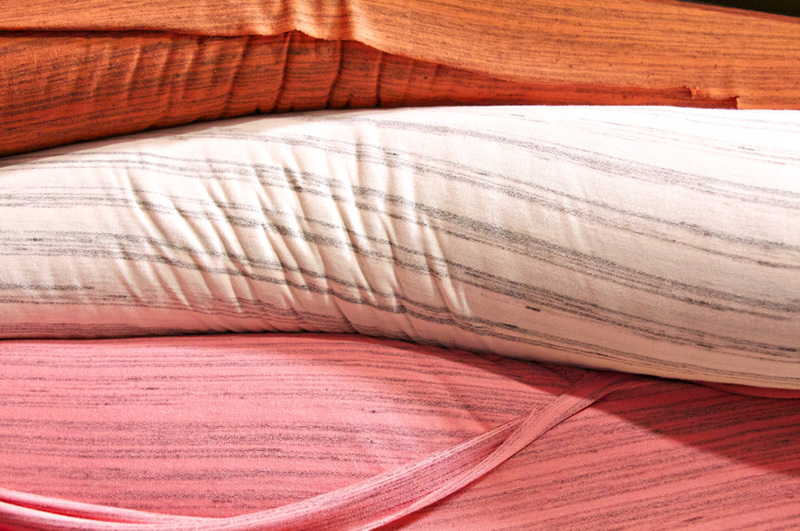 Hemp as a fabric provides the warmth and softness of a natural textile but has more durability and strength than many other fibers. 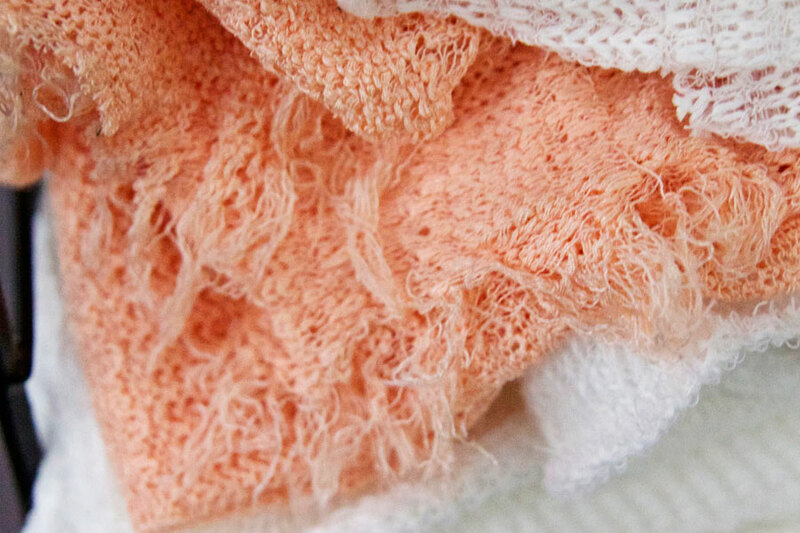 Yarns with neps and slubs automatically give fabrics texture and surface interest. 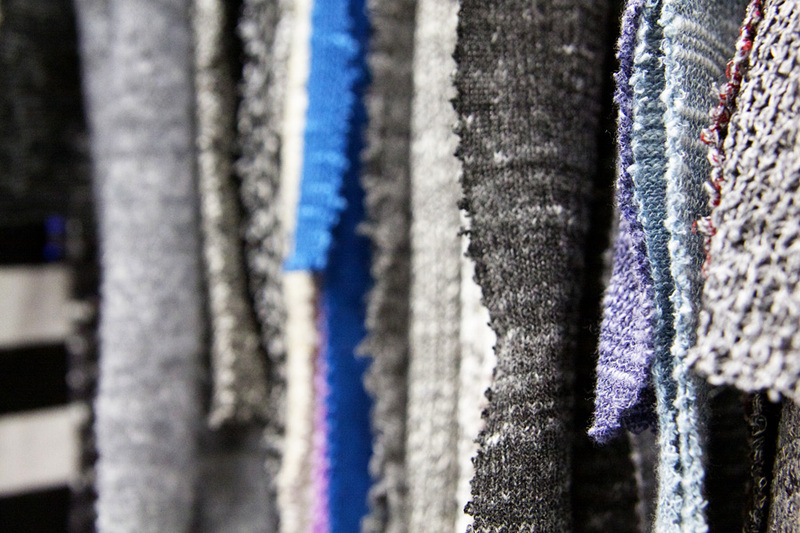 Many of our jerseys, french terrys, and thermals using slub yarns can be garment dyed and become an elevated staple in many of our customers lines. 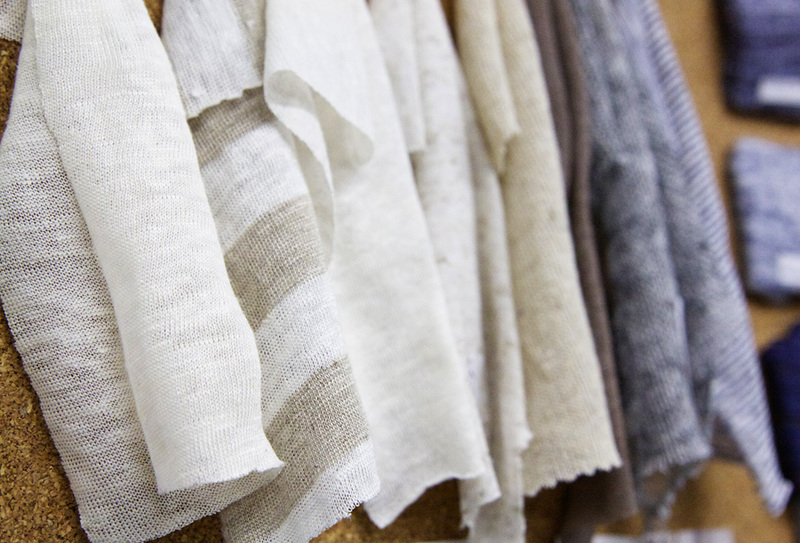 Knits using Linen and Linen blends have a slub apperence with a natural look and hand. 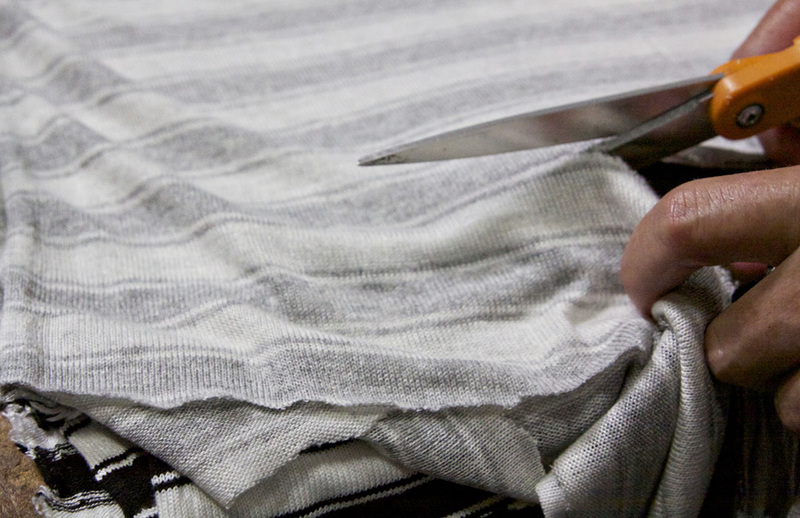 Our 100% linen jerseys and stripes have become a popular base fabric year round. 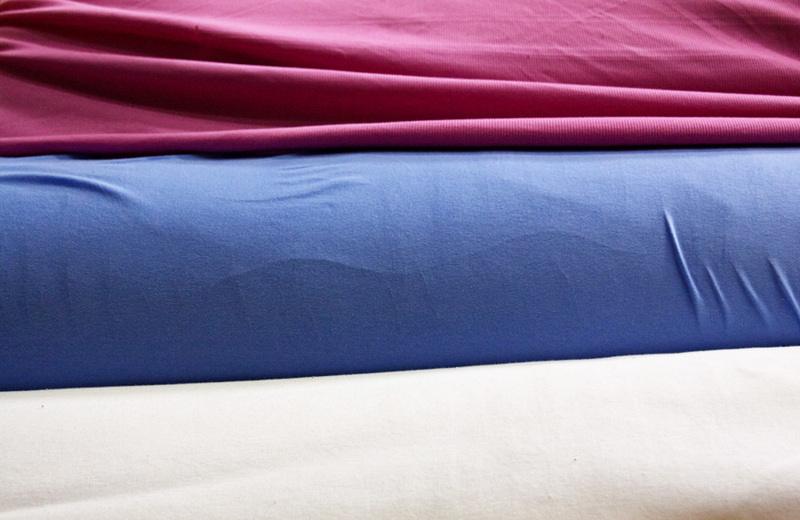 We also offer linen blended with Tencel, Rayon, Polyester, Cotton. RPET is made from recycled plastic containers, bottles, and plastic packaging, which are reprocessed into polymer chips and then spun into fiber and yarn. 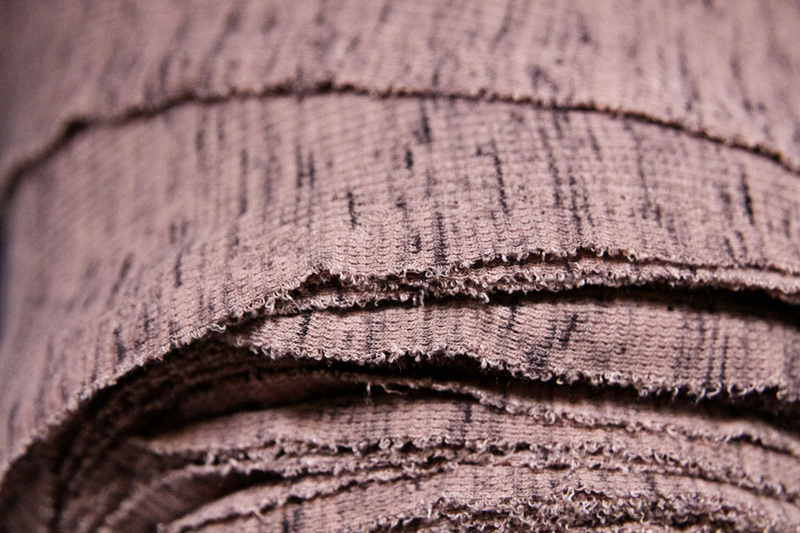 We have recycled poly knitted with spandex, also a blended yarn with Organic Cotton. Beyond having natural anti-bacterial and moisture wicking properties, bamboo fabric also has a super soft hand and luxurious drape. Bamboo is a quick growing tree, which also helps reduce carbon dioxide gases and can help restore degraded lands. A mix of two or more different fibers into one yarn. Some of our most popular yarns are blended with Linen, Silk, Supima Cotton, Micro Modal, Wool, Tencel, and Polyester. A rayon made from wood pulp and spun in an MVS process, which helps prevent pilling. A long staple cotton, grown in the USA. 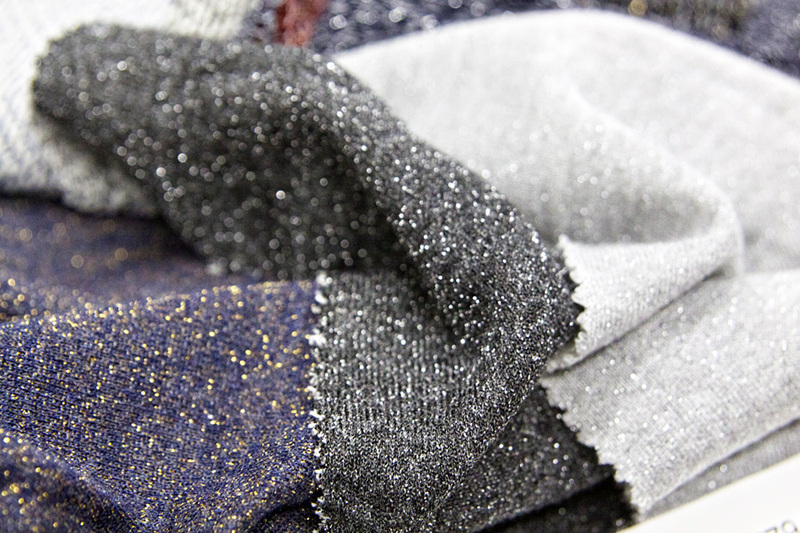 A metallic yarn that is combined with other yarns to create a fabric with a sparkling effect. Grown with no pesticides and 100% organic. We offer certification for all orders with this yarn. 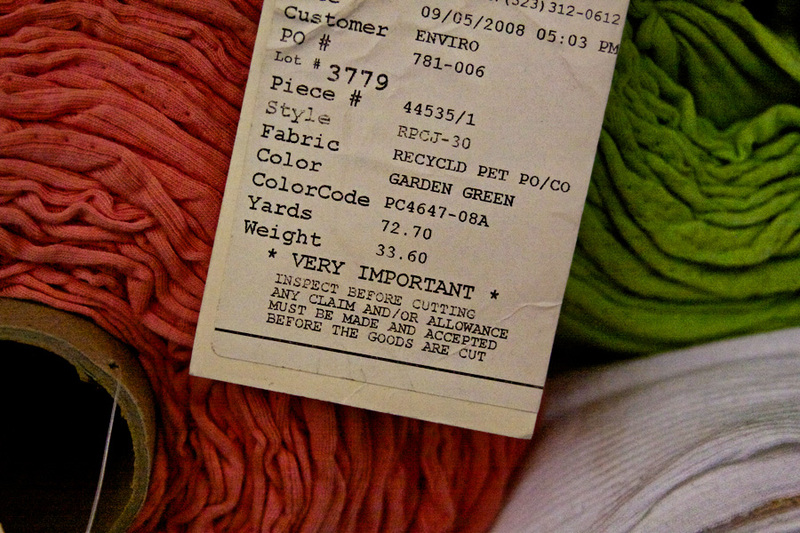 A yarn that has been pre-dyed with a heather effect, which cannot be achieved in piece or garment dye. We stock yarn dye options in Modal, Tencel, Viscose, Supima Cotton + Micro modal, Triblends and other novelties. At one time only used for active wear, but now a popular fabric in all markets. We offer the athletic inspired fabric in the traditional triblends and poly/cottons, but also in Modal and Tencel which provide more drape. The brushed version of french terry, which gives it a super cozy and warm hand. 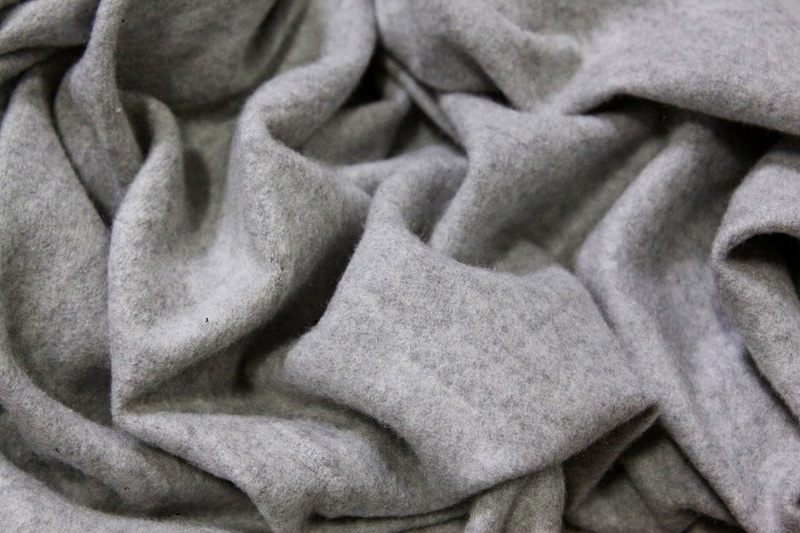 One of our best selling fabrics, hachi is a sweater jersey that is available brushed or unbrushed. The basic “must-have” for any line. 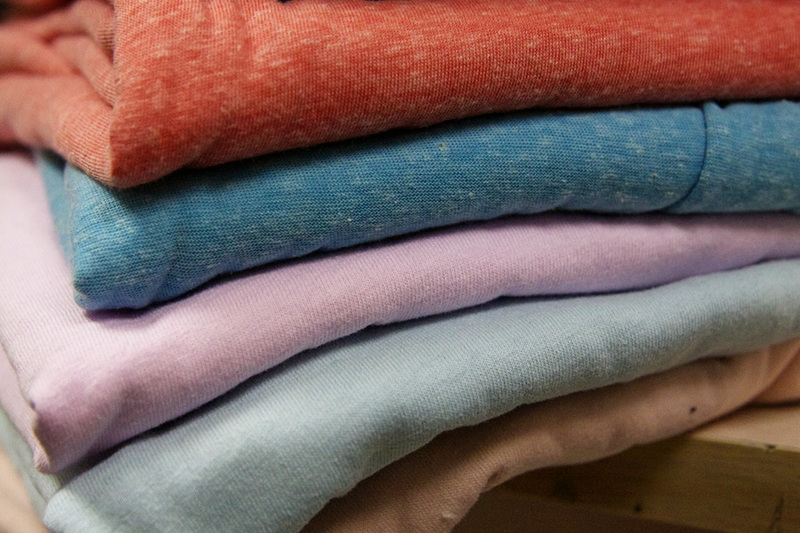 We offer this classic "t-shirt fabric" in most of our yarns, a variety of weights , and with or without spandex. A waffle stitch, most popular for fall and holiday seasons. We also have light weight options for year round. The brushed and laundered version of a loop terry, this furry fabric is super warm and soft for Fall and Holiday seasons. Cut and sew sweater knits have become extremely popular in the last few years, and we are constantly adding new ones to the line. 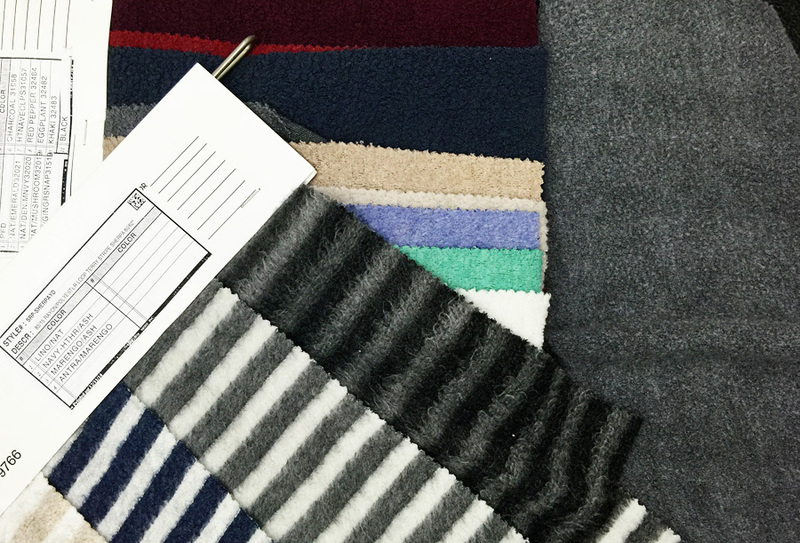 They range from low gauge, slub, striped, brushed, and beyond. 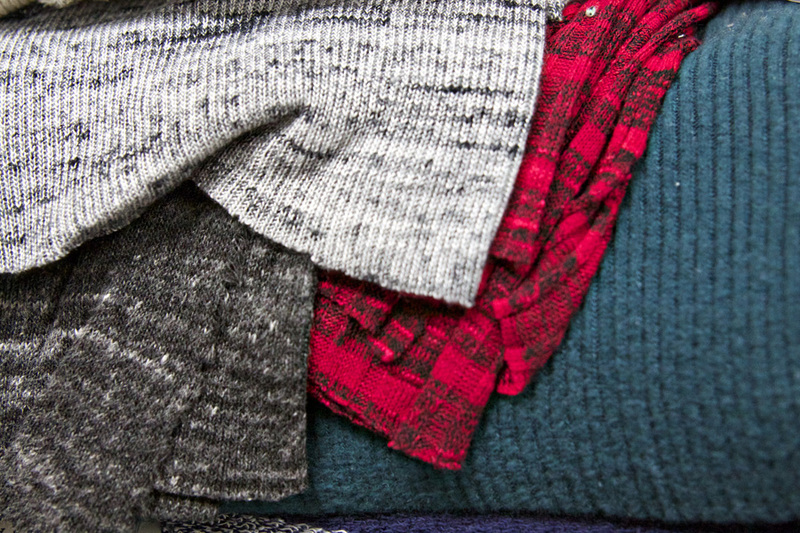 Sweater, Poorboy, 9x3, 4x2, 2x1, 1x1… you name it, we have it. Rib knits aren’t just for trims anymore. More and more we have seen the development of full bodies in ribs. 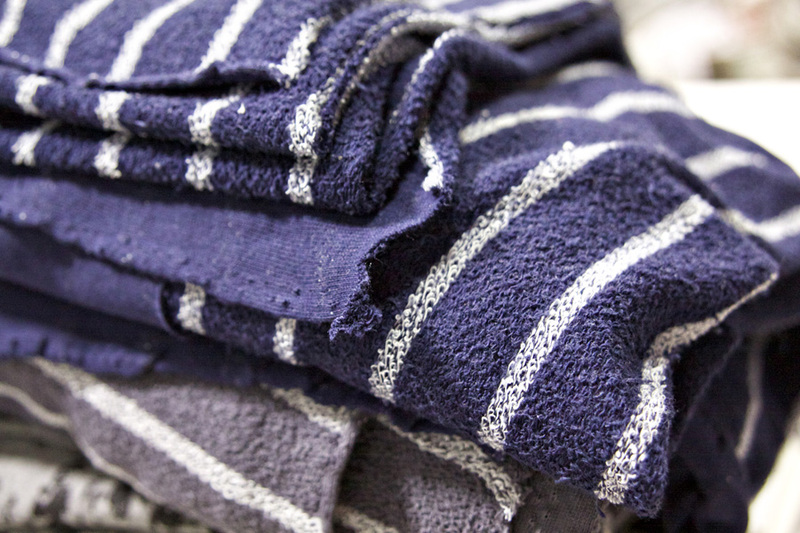 Our line has a large selection of solids, yarn dye, and striped versions. Knitted with a pattern, these fabrics with are popular in several different types of fabrics such as sweater knits, jersey, double knits and more. 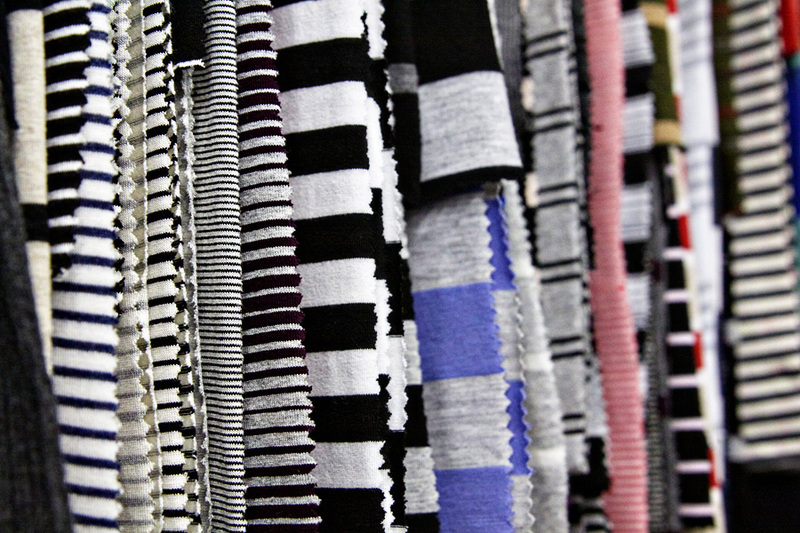 Our line offers a large library of different repeats in feeder and automatic stripes. We can do in any fiber and have piece dye and yarn dye available.